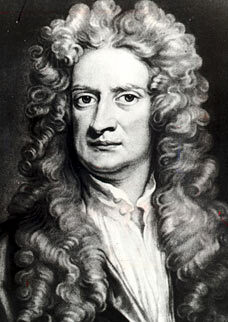 Sir Isaac Newton, the English physicist, mathematician, astronomer, natural philosopher, and alchemist, regarded by many as the greatest figure in the history of science; the man who described universal gravitation and the three laws of motion which laid the groundwork for classical mechanics; the man who by demonstrating consistency between Kepler's laws of planetary motion and this system, was the first to show that the motion of ALL objects on Earth were governed by the same set of natural laws... believes the end of the world will come in 2060. To me, Newton was the man because even though my boy was into God and studied the bible and all that ish, Newton was a rationalist who (arguably) inadvertently debunked and dispelled all those extraterrestrial myths with his measurable and mathematical findings and discoveries. His famously analytical mind worked out the laws of gravity and unravelled the motion of the planets without the biblical comic book heroes and suspension of disbelief. 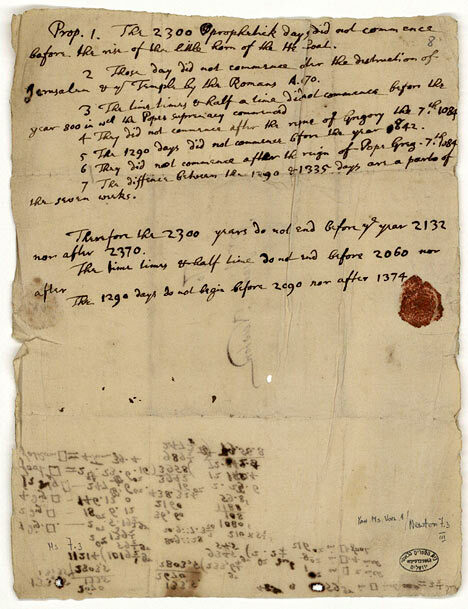 Therefore, I put some stock in my man Newt and his theories... even in a 303 year old letter that's spent the past 30 some odd years locked in a library in Israel. Sir Isaac was precise and when it came to predicting the end of the world, my man was just as precise. He believed the Apocalypse would come in 2060 – exactly 1,260 years after the foundation of the Holy Roman Empire, according to the recently published letter. Luckily for modern scientists in awe of his achievements, Newton based this figure on religion rather than reasoning. "It may end later, but I see no reason for its ending sooner." "This I mention not to assert when the time of the end shall be, but to put a stop to the rash conjectures of fanciful men who are frequently predicting the time of the end, and by doing so bring the sacred prophesies into discredit as often as their predictions fail."